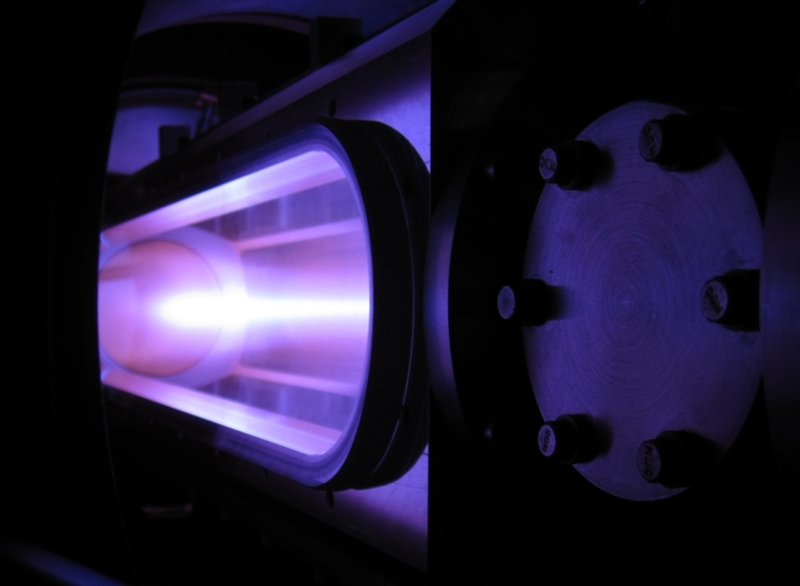 Plasma treatment may be used as part of a vacuum coating system to improve the metal adhesion and / or improve the quality substrates as a barrier against oxygen and to water vapor transmission. Here, the tissue surface is hit by the plasma just prior to the coating process. The plasma is formed by applying an electric voltage to a gas, or a combination of gases. The Vimet over the years has specialized in the treatment with various types of gas, to get the results always in tune with the demands of customers. In addition to removing moisture and other contaminants, the treatment acts to increase the number of nucleation sites for the introduction of polar groups, resulting in a coating with a homogeneous surface morphology, and with fewer defects. A good bond is always necessary between each of the film layer, the metallic layer and the layer does not. A good bond ensures that in the course of time the treated side of the film does not affect the untreated side when the two layers are located one above the other in the rewinding. Performed the metallization step, the reels are immediately “rewind” or rather carried out and rewind using machines called Slitters. During this phase the film can be cut on the edges to remove the selvage that is formed on the edges of the band and / or cut to achieve more than a more narrow reels width. In fact, in order to contain costs, it is preferable to metallize coils with the width to the maximum width of the next strip metallizzazbile, which in our case is of 2080mm, and then cut to obtain more useful to the client-end reels.